Providing you the best range of industrial washing machines, stain removing machines, stain removing machine, crinkling machines, thread sucking machines and industrial dry cleaning machines with effective & timely delivery. We deal in a diverse range of garment finishing equipment. 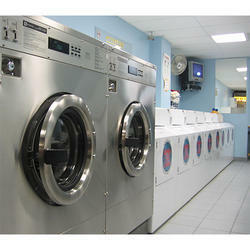 Our company supplies Industrial Washing Machines which are available in various sizes in the market. These automatic and auto-timed machines are capable of washing all kinds of fabrics. We follow the industrial standards and norms while manufacturing these high-tech machines. They are low energy consumption machines offering auto reverse, auto digital temperature control, and easy loading and unloading ability. 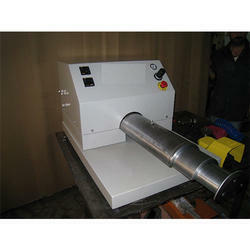 We manufacture Stain Removing Machines from superior quality raw materials. Based on cold spotting principle, these stain removing machines import chemical spray cleaning through cold spotting guns. The residue is removed by a suction process. These machines are highly used in the textile industry and offer reliability and a longer service life. Due to their quality features like corrosion resistance and fine finish, these machines are apt for removing stains. 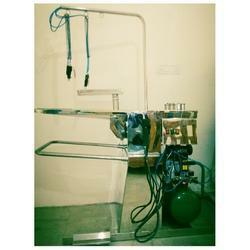 We are Quality Manufacturer/Supplier/Service provider of Stain Removing Machine for all over India. The ESGM Spotting Machine equipment will remove practically all stains by shooting compressed air and chemical at the stain. A hot air and steam gun enable removing of tough to remove stains. These are manufactured out of Stainless Steel Preventing corrosion caused by the Stain Removing Chemicals. The Vacuum feature is leg operated making it easier for the operator. 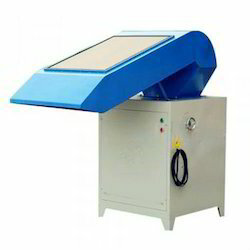 Our company is well known for manufacture and supply of Crinkling Machines. Auto timed and less energy consuming, these machines are easy to install and operate. They are best suited for crinkle effect on denim garments and are ideal for zigzag effect on shirts, trousers, kid's garments, swim wears and other garments. We offer these machines in different specification to meet the exact needs of our clients. Thread Sucking Machines are always in great demand in the market because they provide a perfect finish to the garment once the stitching is completed. These machines pull out all the loose threads from the garments. Fully automated action ensures a clean working area and reduces labor cost and saves floor space. They can be used for a variety of different size garments, home furnishing items, and even heavy bath rugs. 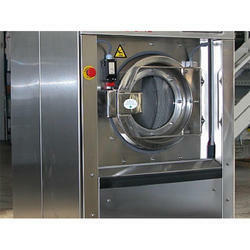 Industrial Dry Cleaning Machines are extensively used for cleaning leathers, furs, industrial gloves etc. We manufacture each dry cleaning machine in accordance with the specifications of the clients. These machines have modular designs and provide large loading and unloading doors. The outer body is painted to prevent corrosion. These easy to operate and low maintenance machines are best for petrol solvent cleaning. Model Capacity Dry Wt. Per Charge Basket Size Volume Drive Motor/ Speed Extract Motor Extract Speed Filter Pump Capacity Tank Capacity Overall Dimensions WxDxH App. 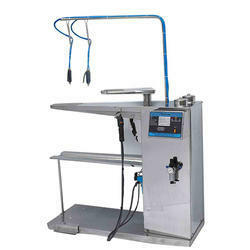 We supply a range of Fabric Inspection Machines available in different sizes. 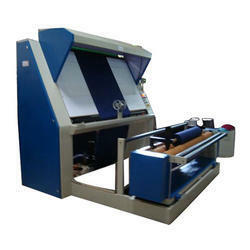 These machines are used to inspect medium and high-quality fabric up to a certain width. Easy to install and operate, these machines are manufactured under the standards and norms to satisfy the client specifications. Fabric inspection machines are operator friendly, reduce labor and improve productivity. These machines are durable and offer smooth working. Our clients can avail them at affordable rates.